Cristiano Ronaldo is a born winner. He has done it on all fronts. Not only is he one of the best the best football players in the world, but he is also the most popular World Cup player on Instagram. With over 129 million followers on Instagram, Cristiano Ronaldo is by far the most followed football player. The legendary 5-time Champions League and Ballon d’Or winner is also no stranger to Instagram success. 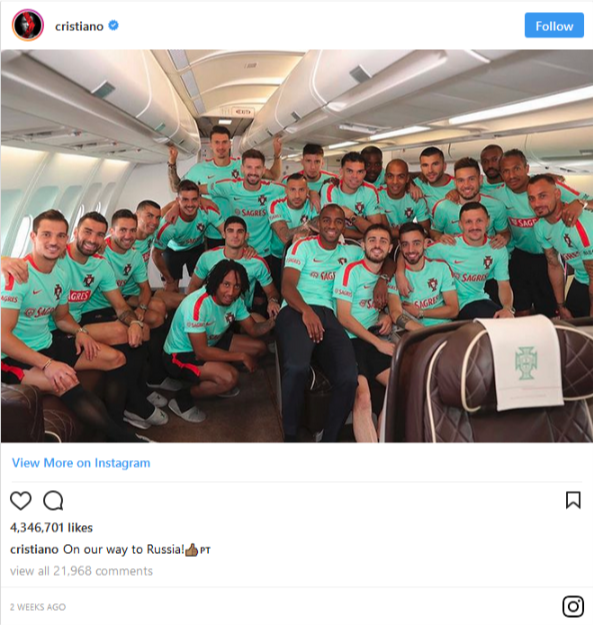 As you can see, Cristiano Ronaldo doesn’t have any trouble accumulating likes on his Instagram posts in the millions. That is hardly considered odd, given that he has over 129 million followers. Still, an Instagram post with over 4 million likes? Mere mortals like us would have to buy Instagram likes to get anywhere near that! This easily proves that Ronaldo is a player that is loved and respected by many. Next on the list of most followed Instagram World Cup players is the Brazilian wunderkind, Neymar Junior. The skilled magician has been involved in a lot of controversy in the past year, with his sudden move from Barcelona to PSG being a particular highlight. Still, the 26-year-old Neymar is regarded as one of the biggest football talents, a future Ballon d’Or contender, and an Instagram celebrity. By simply browsing through his Instagram content, you can see that Neymar plans and targets his Instagram posts splendidly. 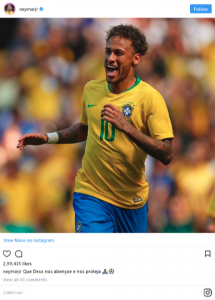 In order to encapsulate the magic of the upcoming World Cup, Neymar’s recent posts have all been related to Brazil and the World Cup anticipation. It is only natural that those posts receive likes in the millions. 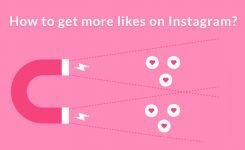 You can learn how to get more likes on Instagram by following such marketing techniques. The player regarded by many as the G.O.A.T. comes in as the third-most followed Instagram World Cup player, falling behind to Neymar Jr by a margin of 1.4 million followers. 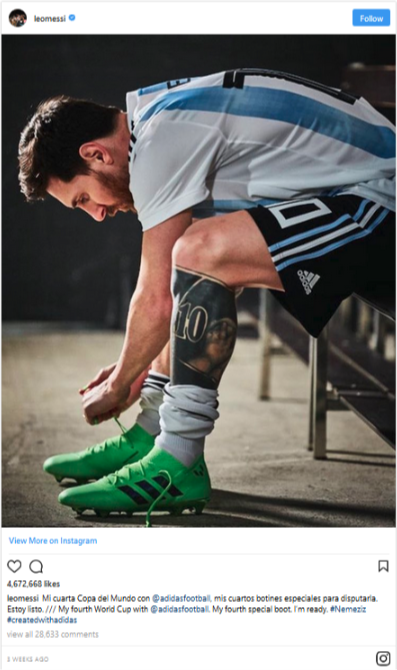 The Argentinian wizard is about to participate in his fourth World Cup, and he doesn’t hide his excitement on Instagram, even after all these years! 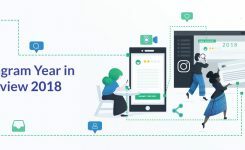 Even though Messi is far behind from his eternal rival Cristiano Ronaldo (more than 35 million followers), his Instagram posts still receive an equally impressive level of engagement. 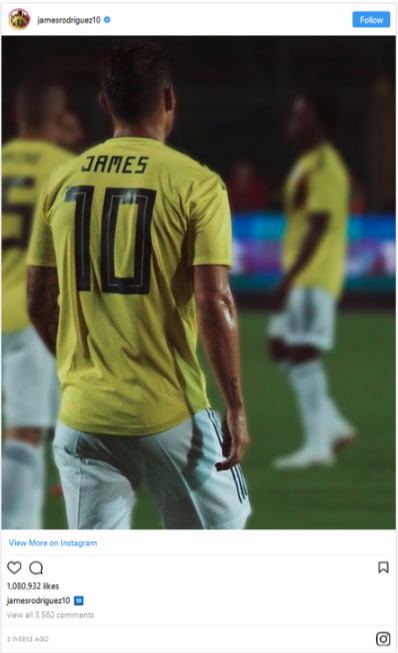 The Colombian football player, James Rodriguez, is the fourth-most followers Instagram World Cup player with over 37 million followers. The current Bayern Munich and ex-Real Madrid player cannot be compared to the heavyweights we just went through, but surely has an impressive follower base. The last World Cup, in 2014, was monumental for James Rodriguez, as it was only days after the World Cup ended that he got a call from Madrid. From that moment on, his career started moving on an upward trajectory, and it hasn’t stopped since then. Another Barcelona player makes the cut in the most followed Instagram World Cup players list. This time, it is the center-forward, Luis Suarez, who claims the fifth position on the list. 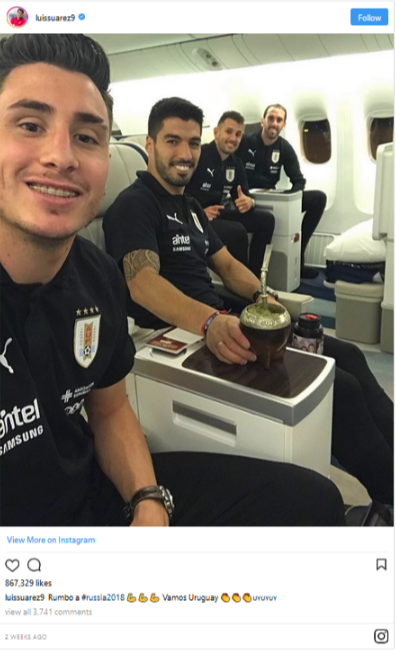 With over 27.9 million followers on Instagram, the Uruguayan football player who is almost always in the spotlight (whether for his football brilliance terrible personal actions) is also very popular on Instagram. Not so far behind on the list of most followed World Cup players on Instagram is the Brazilian left-back, Marcelo. 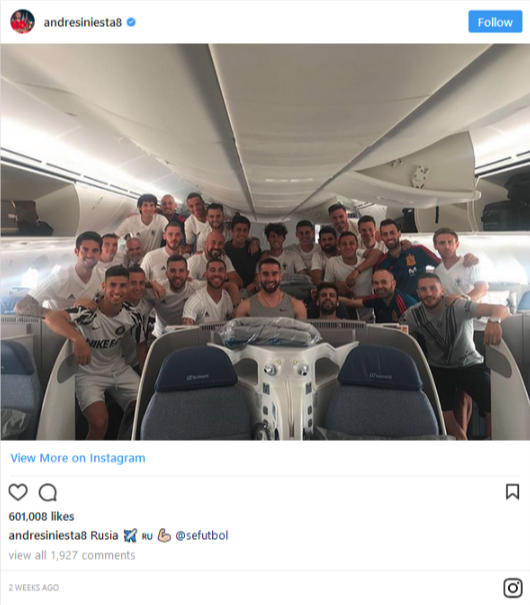 The famous Brazilian player, who is often the unlikely protagonist for Real Madrid, has a very influential presence on Instagram as well, with over 26.3 million Instagram followers under his belt. 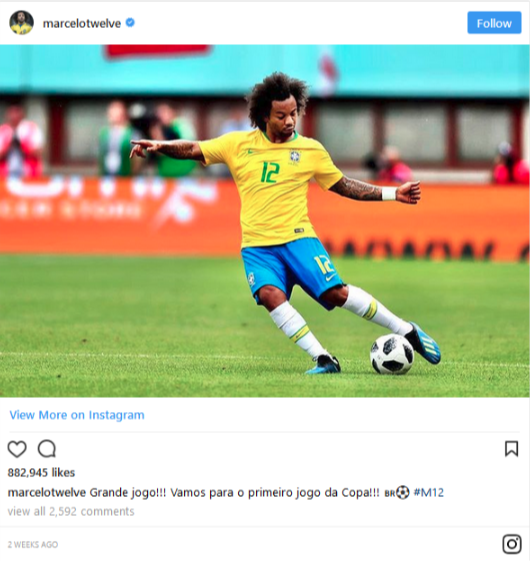 Marcelo is often regarded as the positive, optimistic character in the Real Madrid squad, so it comes as no surprise that the Brazilian has accumulated so many followers with his upbeat content. Seventh on the list of most followed Instagram World Cup players comes the Spaniard Sergio Ramos, with over 24.2 million followers. The captain of Real Madrid is widely respected because of his passion, leadership skills, and grit. Sergio Ramos is one of the most beloved football players today, and his impressive Instagram followers base is proof of that. You can also read that he is running an Instagram contest, which is a great idea for attracting more followers while he is on the world stage. Another Spaniard takes places in the most followed player’s list. The little magician, Andres Iniesta, takes the 8th position with 23.4 million Instagram followers. The former Barcelona player is probably one of the best to ever play the game, and people recognize that. To be frank, his Instagram followers numbers don’t do justice to his football skills. Paul Pogba is the only player in this list that hasn’t at one point been a Real Madrid or a Barcelona player. The French international currently plays for Manchester United and is one of the most popular modern-day football players. 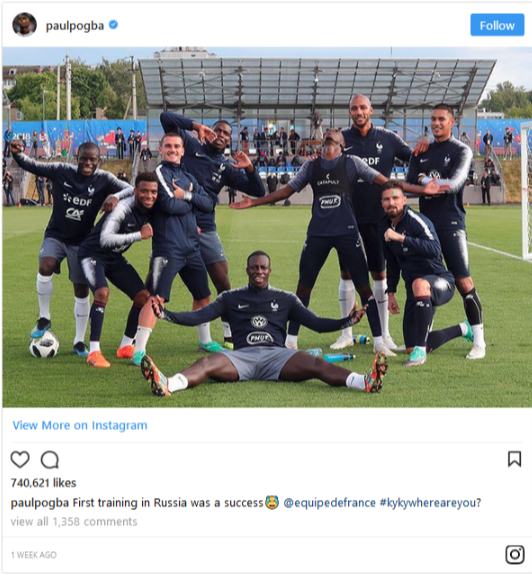 The Frenchman still has to prove his value with Manchester United and France, but he has surely made it as an Instagram celebrity. 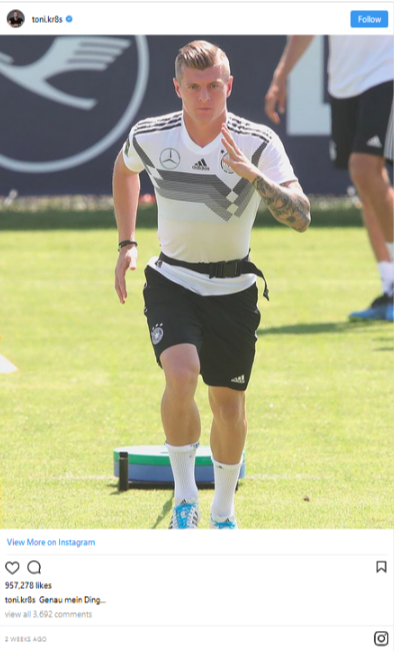 The German international is the tenth player on Instagram’s most followed World Cup players list. The Real Madrid has enjoyed quite a fruitful career, having won the Champions League on 4 occasions (3 times with Real Madrid and once with Bayern Munich). The “German Sniper” is also very popular on Instagram, with 17.6 million Instagram followers. Will he enjoy another World Cup win this year? If he keeps up his level of play from the last tournament, where the Castrol performance index called him the greatest player of the 2014 World Cup, it’s possible. 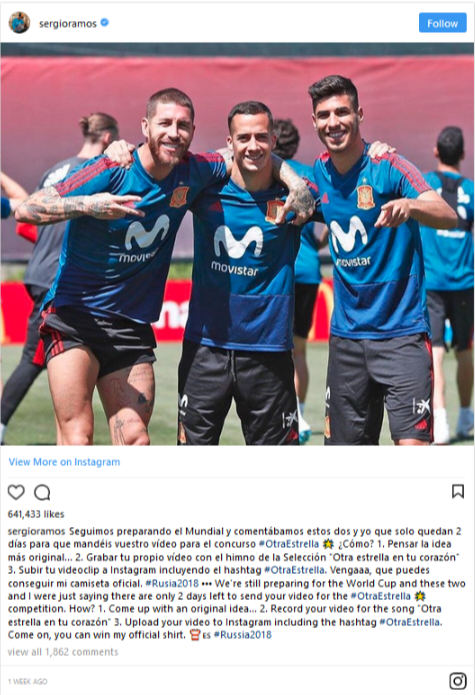 Real Madrid has 4 Instagram World Cup players on this list. Barcelona has 2 of the most popular. Manchester United, PSG, Bayern Munich, and Vissel Kobe have 1 each. Even though football players can get very popular very quickly during the World Cup, making it so we could have a different list once this World Cup ends, this just shows you how very powerful Instagram has become. 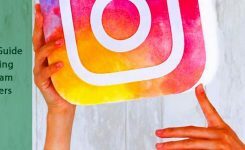 To really get in the World Cup mood, you can watch some of the best Instagram World Cup ads for even more footballing entertainment.